Suitable for a beginner or as a refresher project. You will make a lined tote bag from 4 pieces of fabric. 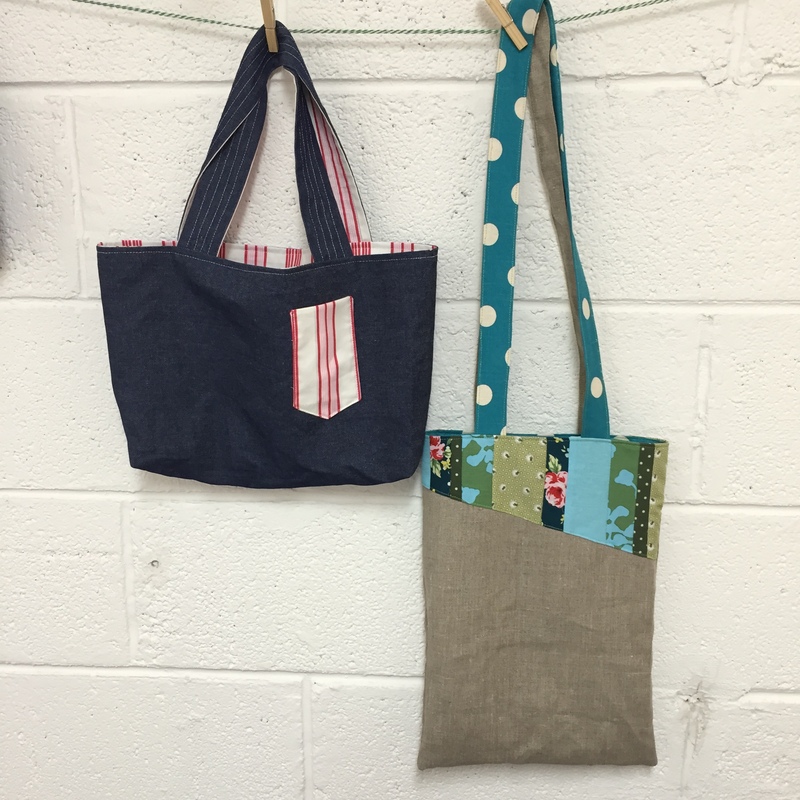 This project is great for learning to follow a seam allowance with lines of straight stitch whilst also learning the simplest technique for lining bags. You will make your own straps & also have time to either add a box bottom to the bag OR decorate with applique OR add a patch pocket. If you would like to do more than one of these finishes please add an hour to the timings below when you make your booking. The finished bag is approximately 25cm x 38cm, it can be made in portrait or landscape style & you choose the length of your straps. None – a choice of fabrics & all other materials will be provided.